SCADA and ICS are fascinating areas of study, with tons of terms, concepts, and protocols to learn. This short primer will attempt to cover the basics. What are ICS and SCADA? People outside the space tend to conflate ICS and SCADA. They are not the same. ICS stands for Industrial Control System, and it generally refers to the control systems for Industrial Automation. 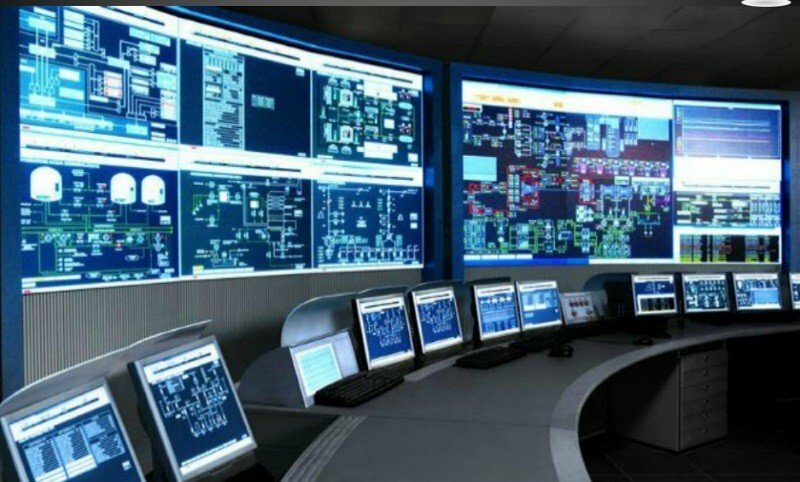 SCADA stands for Supervisory Control and Data Acquisition, and it is a type of Industrial Control System that traditionally covered long distances, such as gas, power, and water distribution. Before the invention of the micro-controller, there were highly specialized components that did one thing well. When the micro-controller became primary, people started consolidating many of these functions into the same hardware. Remote Terminal Units (RTUs): are field devices that connect to sensors and convert sensor signals to digital data. They can send and receive digital signals from the supervisory system. RTUs often have basic logic capabilities built in to the system. Programmable logic controller (PLCs): like RTUs, PLC’s are also field devices that connect to sensors and convert their signals to digital data. PLCs, however, have more sophisticated embedded control capabilities (typically one or more IEC 61131-3 programming languages) than RTUs. PLCs do not have telemetry hardware, although this functionality is typically installed alongside them. PLCs are sometimes used in place of RTUs as field devices because they are more economical, versatile, flexible, and configurable. Telemetry Systems are typically used to connect PLCs and RTUs with control centers, data warehouses, and the enterprise. Examples of wired telemetry media used in SCADA systems include leased telephone lines and WAN circuits. Examples of wireless telemetry media used in SCADA systems include satellite (VSAT), licensed and unlicensed radio, cellular and microwave. Data Acquisition Servers are software services that use industrial protocols to connect software services, via telemetry, with field devices such as RTUs and PLCs. They allow clients to access data from these field devices using standard protocols. Human to Machine Interfaces (HMI): The HMI is the human interface to the SCADA system. The HMI client requests data from a data acquisition server and other external devices, creates reports, does alerting and notifications, etc, and then presents that processed data to a human operator for the purposes of monitoring and interaction with the process. Mimic diagrams are often used within the HMI to visually display the structure of the system to the operator as a schematic diagram. This might include the linking of pumps to pipes and other such relationships. This allows the operator to turn adjust specific components visually within the system, which will then be reflected in the readings immediately afterwards, e.g., increased or decreased pressure, etc. A Historian: is a software service which collects data from a Data Acquisition Server, such as time-stamped data, boolean events, and boolean alarms, into a database which can be queried or used to populate graphic trends and other useful displays in the HMI. Alarm Handling: is a critical component of SCADA implementations. The system monitors for conditions that will trigger an alarm, and then fire off notifications and/or take additional actions. In some cases the operator will have to acknowledge and disable the alarm manually. Alarm examples include things like sirens, pop-up boxes, or colored or flashing lights on a screen. Terminology in the industry include alarm point, alarm indicator, and alarm events. IEC 61131-3: a suite of five programming languages including Function Block, Ladder, Structured Text, Sequence Function Charts, and Instruction List), is frequently used to create programs which run on RTUs and PLCs. The code for these languages look like physical control arrays, and aren’t as hard to learn as procedural modern programming languages. Programmable Automation Controllers (PACs): are a combination of PC-based controller and typical PLC. PACs are deployed to provide functionality that you’d normally get from an RTU or PLC. Supervisory Station: A supervisory station is the hardware and software responsible for communicating with the field equipment (RTUs, PLCs, and Sensors) and sending the data to the HMI software running in the control room or wherever. In small installations the master station could be a single PC. In larger systems the master station could include multiple servers, distributed software, and DR sites. Mean Time Between Failures: is often used as a metric for dependability of equipment. Telemetry: is the term for remote monitoring and/or management of a SCADA system. Much of traditional SCADA communication took place over a combination of wired and wireless connections. SCADA usually refers to centralized monitoring and control systems, not the local RTUs or PLCs. SCADA intervenes when an override or supervisory intervention is required. As an example, a PLC may control the flow of cooling water through a process, but the SCADA system is what sends the PLC its parameters for operation, enables alarm conditions such as loss of flow and high temperature, etc. The feedback control loop passes through the RTU or PLC, and the SCADA system monitors the overall performance of the loop. Data acquisition begins at the RTU or PLC level and includes meter readings and equipment status reports that are communicated to the SCADA system as required. Data is then compiled and formatted in such a way that a control room operator using the HMI can make supervisory decisions to adjust or override normal RTU (PLC) controls. Data may also be fed to a Historian, often built on a commodity Database Management System, to allow trending and other analytical auditing. SCADA systems typically implement a distributed database, commonly referred to as a tag database, which contains data elements called tags or points. A point represents a single input or output value monitored or controlled by the system. Points can be either “hard” or “soft”. A hard point represents an actual input or output within the system, while a soft point results from logic and math operations applied to other points. (Most implementations conceptually remove the distinction by making every property a “soft” point expression, which may, in the simplest case, equal a single hard point.) Points are normally stored as value-timestamp pairs: a value, and the timestamp when it was recorded or calculated. A series of value-timestamp pairs gives the history of that point. It is also common to store additional metadata with tags, such as the path to a field device or PLC register, design time comments, and alarm information. SCADA systems, especially in highly critical environments, are equipped with multiple, redundant, and varied communications channels, and are implemented to be able to handle multiple types of environment and weather conditions. An example might be the use of one wireless protocol, a health check for connectivity, and then the automatic enabling of a second wireless medium if the first were to fail. Since 1998 many PLC manufacturers have been bundling HMI and SCADA systems with their offerings. SONET/SDH is often used for large systems such as railways and power stations. SCADA protocols are designed to be quite compact. Many are designed to only send data when the master station polls the RTU. Legacy protocols include Modbus RTU, RP-570, Profbus, and Conitel. These are all vendor-specific but are widely adopted throughout the industry. Standard protocols include IEC 60870-5-101, 60870-5-104, IEC 61850, and DNP3. These are recognized by all SCADA vendors as standards, and many have extensions to work over TCP. FINS, Omron’s protocol for communication over several networks, including ethernet. HostLink Protocol, Omron’s protocol for communication over serial links. MACRO Fieldbus – “Motion and Control Ring Optical” developed by Delta Tau Data Systems. MelsecNet, supported by Mitsubishi Electric. BACnet – for building automation, designed by committee ASHRAE. HDL-Bus- main protocol for HDL home automation system. TIS-BUS main protocol for Texas Intelligent Systems Home and Hotel Automation and GRMS system. INSTEON – SmartHome Labs Pro New 2-way Protocol based on Power-BUS. J1708 – RS-485 based SAE specification used in commercial vehicles, agriculture, and heavy equipment. Some of these sections are copied and rewritten from other sources, such as Wikipedia and other open, free guides. It’s not necessarily just raw copy and paste, but usually involves some cleanup, summarization, and/or elaboration.